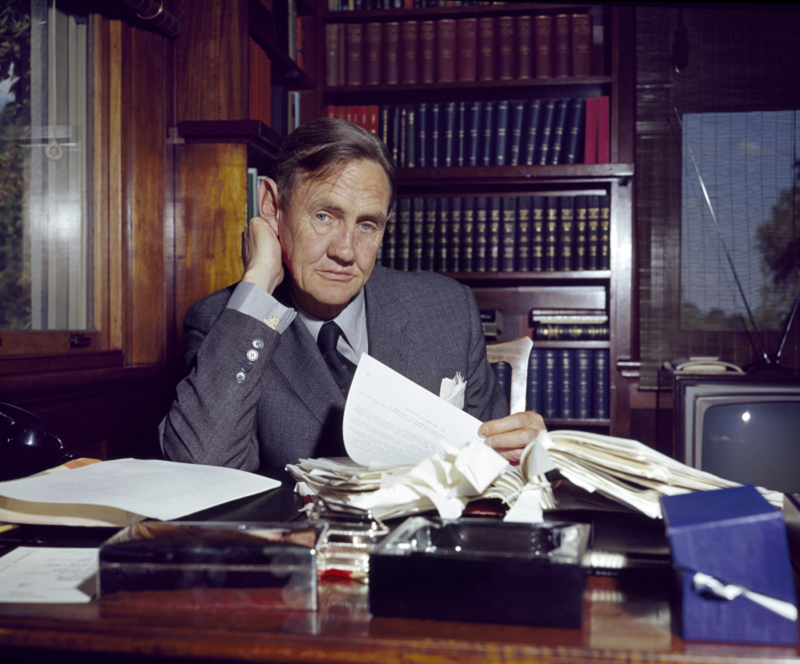 Whenever I read Forde’s quote about the office of Prime Minister—and the occupant of that office—I sense a generosity of spirit that seems to have diminished, at least in public, in recent times. In an age of media saturation and over-familiarity, of ‘Julia’ and ‘Kevin’ and ‘Tony’, it seems ironic that we sometimes forget that our prime ministers are people. Unusually driven, certainly passionate and often flawed, they are also remarkable people braving what is certainly ‘not an easy job’: the nation’s most demanding public office. 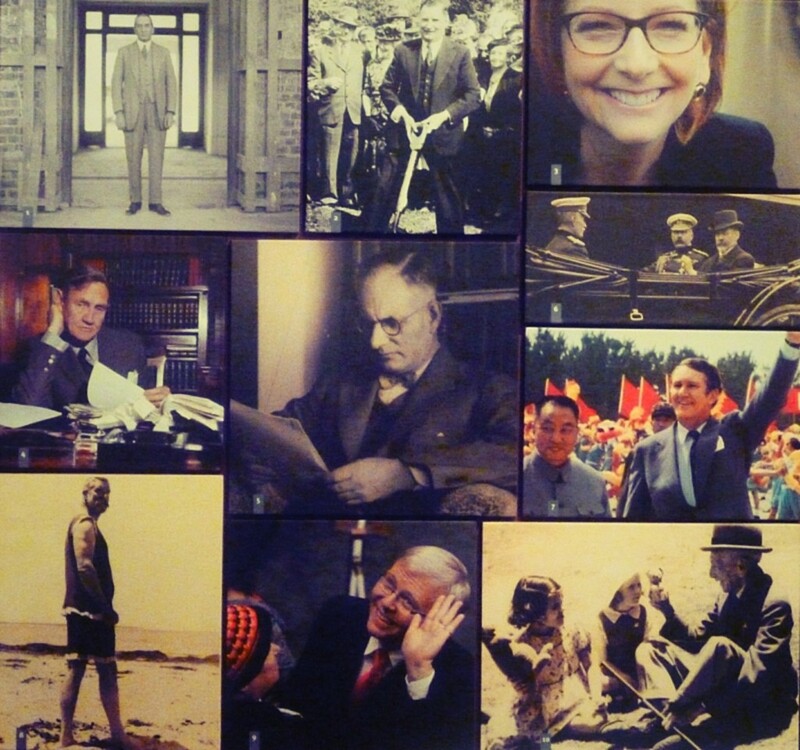 We’ve recently updated the Prime Ministers of Australia exhibition with a renewed focus on these remarkable people. The update includes a picture quiz that discusses the upbringings and experiences that have shaped our prime ministers and through them, the nation. Preparing the picture quiz, I spent hours poring over images of prime ministers, reading the stories in their faces. While it is certainly not true that the camera (and politician!) never lies, a photographer can at least hint at the essence of their subject and the temper of the times. Revealed to me were people of great wit and whimsy; character and charm. I saw expressions of determination, focus, resignation and relief. As the years and prime ministers passed, I saw formal stiffness dissolve into grinning selfies. I also saw a prime ministerial swimming costume from more than a century before the advent of Tony Abbott … and Billy Hughes playing with a teddy bear. These photos are insights into people who are not only important figures in Australia’s history, but who have contributed to that history and in some cases even embody it. Stanley Bruce seems to have brooded throughout the 1920s; perhaps this was the photographic fashion, but as a Gallipoli veteran he probably had reasons to be uncheerful. The euphoric face of former house cleaner and diplomat Kevin Rudd after delivering The Apology reflected the general mood of the nation at that moment in time. And Australia’s experiences of World War Two are literally carved into John Gorton’s face. His official portrait doubles as a character study: coolly assessing the viewer, his eyes are those of a bloke who has pretty much seen it all. The quiz also explores whether nature, nurture and even nation develop a prime minister, and what a prime minister provides in return. On one hand, the image of Joseph Cook perched beside Lord Kitchener says much about Australia’s relationship with the Empire. But when we learn that Staffordshire-born Cook went down the mines at the age of nine (and was his family’s chief breadwinner at thirteen), we perhaps also see in Cook’s photo something of his ingrained sense of obligation, and his drive that made the best of his chances in his adopted country. All of the people pictured shared what Gorton believed was vital for the office: ‘a deep love of this country—its institutions, its values, its idiosyncrasies.’ Regardless of their political persuasions, all our prime ministers have had a passion to serve the Australian people. Come and rekindle your passion for them! Gallery of rogues or remarkables? Test your opinion with our new quiz in the Prime Ministers of Australia gallery.